Biography of India's Prime Minister Shri Narendra Modi. 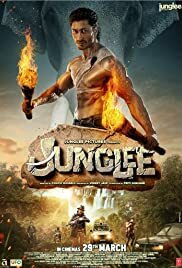 Vidyut Jammwal flexes his muscles and does a bunch of entertaining stunts at the start and the end of Junglee (Wild), a crime drama with a social message about animal (tuskers) and nature conservation that is extremely similar to most films and documentaries about animal and nature conservation. TN.